Successful clones of Acinetobacter baumannii cause a variety of nosocomial infections through serum resistance, biofilm formation, and antimicrobial resistance as virulence capabilities. 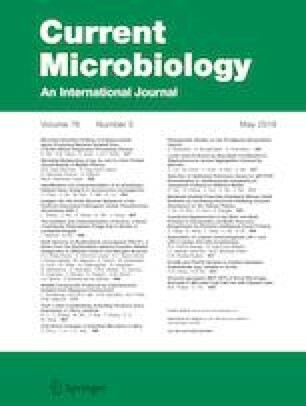 Fifty clinical isolates of multidrug-resistant (MDR) A. baumannii were analyzed for clonal relatedness, serum resistance, biofilm formation, and in vivo assays. Furthermore, some virulence genes, sequence variation of ompA, and its expression were studied. The MLST (multilocus sequence typing) results showed that there were three sequence types among MDR isolates including ST2 (64%, 32/50), ST513 (30%, 15/50), and ST1 (6%, 3/50). The data showed that the clinical isolates recovered from sputum had mostly high biofilm-formation capacity, while isolates recovered from host interior fluids had high serum resistance. The results of PCR assays and in silico analysis represented patterns of virulence genes and even ompA sequence variations among MDR isolates which were clonally dependent. While quantitative reverse transcription-polymerase chain reaction (qRT-PCR) analysis showed that bacteremia-producing strains in C57/BL6 mice significantly overexpress ompA (P < 0.05) and have a direct relation with the level of IL-6 in bloodstream of mice. Moreover, the expressions of ompA among indistinguishable clones (ST2 or ST513) were clonally independent. Omid Azizi and Farzad Badmasti have contributed equally to this research. The authors would like to thank the personnel in the Bacteriology Department of the Pasture Institute of Iran for their help. This research was supported by the Pasture Institute of Iran under Grant No. B-0137.